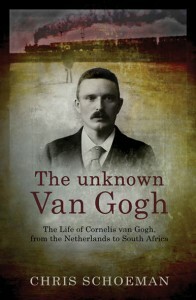 Chris Schoeman’s biography of Cor van Gogh recreates South Africa in the last decade of the nineteenth century, tells the personal story of this young uitlander, as revealed in his letters, and describes his relationship with his famous brother Vincent. With new insights based onoriginal research, this book is an important addition to South African and world history. Chris Schoeman was born in Somerset East and has master’s degrees in history from the universities of Port Elizabeth and Colorado State. 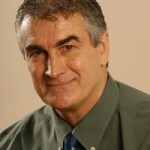 He has worked as a historian and journalist, and has authored and co-authored several books. These include District Six: The Spirit of Kanala, Boer Boy: Memoirs of an Anglo-Boer War Youth, Brothers in Arms: Hollanders in the Anglo-Boer War, Angels of Mercy: Foreign Women in the Anglo-Boer War, Churchill’s South Africa and The Historical Karoo.